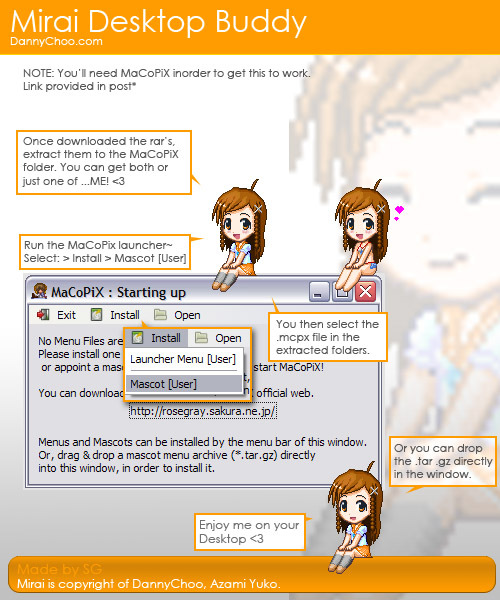 You can find it here on DannyChoo: Mirai Desktop Buddy. Can you please mirror the files somewhere? Thanks in advance. Also is possible download violet haired mascot?